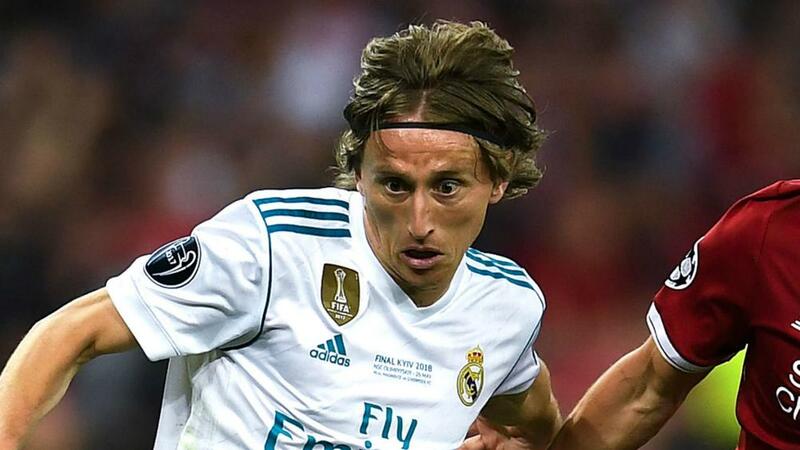 Real Madrid star Luka Modric claimed his side were worthy winners of the Champions League, but said he's now focused on "one big success with Croatia" at the World Cup. Luka Modric insists Real Madrid deserved their Champions League victory but says he would trade in some of his club honours for World Cup glory with Croatia. The midfielder was at the heart of a Madrid side that beat Liverpool 3-1 in Kiev, as Zinedine Zidane's side benefited from a pair of goalkeeping errors by Loris Karius. Despite their good fortune, Modric claims the achievement of beating Paris Saint-Germain, Juventus and Bayern Munich on their way to the final made Madrid worthy winners. Speaking at the Croatian Players' Union awards ceremony, Modric said: "It seems we can't make it without drama. "But this time we've had the hardest route since I came to Madrid: French champions, Italian champions, German champions and then Liverpool. "We really deserved the trophy." The 32-year-old admitted that the 2017-18 season had not been an easy one for Madrid, who ended the season third in the LaLiga table, 17 points behind bitter rivals and champions Barcelona. And Modric, who has lifted four Champions League trophies, one LaLiga title and one Copa del Rey since joining the club in 2012, revealed he would give up some of his club silverware for a taste of international success with Croatia at the World Cup in Russia. "It was a very hard and long season, in LaLiga and the Copa del Rey we did not play as is expected of us," he said. "In the end we won the trophy that is most important. I am happy to be part of this club and this success that will be remembered in history. "[But] I would change some of the trophies I've won with Madrid for one big success with Croatia!"